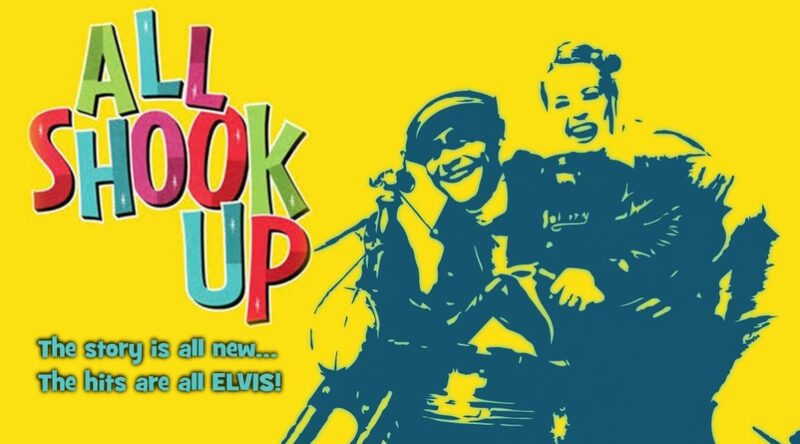 All Shook Up is a new musical comedy built around a number of songs made famous by Elvis Presley. It’s NOT a biographical revue. 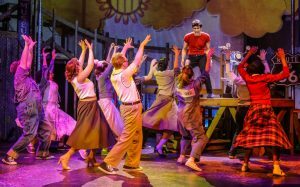 It takes place in 1955, somewhere in middle America, where one girl’s dream and a surprise visit from a mysterious leather-jacketed, guitar-playing stranger help a small town to discover the magic of romance and the power of rock & roll. 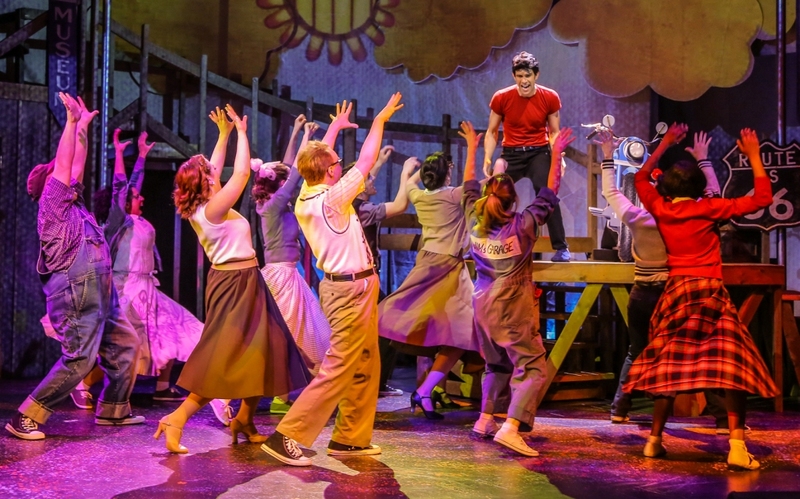 Among the 24 songs featured in the score are classics like ‘Heartbreak Hotel’, ‘Love Me Tender’, ‘Don’t Be Cruel’, ‘Can’t Help Falling in Love’, and of course the title tune.